The ideologised treatment of history in the Soviet period celebrated communists who had perished or been executed in the interwar Republic of Estonia as martyrs. They fit in to the narrative of class struggle and its victims. Monuments were erected in their memory and memorial articles appeared in the press on anniversaries of their birth. One such communist featured during the Soviet period was Hans Heidemann (1896–1925), a trade unionist and member of the parliament of the Republic of Estonia, and also an underground Estonian Communist Party activist. He was arrested as one of the ringleaders in the attempt to overthrow the government on 1 December 1924 and executed in 1925 as a spy for Soviet Russia by decision of a military district court. This article relies primarily on archival materials from the Estonian National Archives. It is an attempt to write a political biography of Hans Heidemann that for the first time aims to more closely examine the course of the life of this individual who has been ideologised many times over. His room for manoeuvring and his possible influences in the space in which he operated are reconstructed. The article examines how this man of modest background but with a relatively good education, a veteran of the Estonian War of Independence who served as a staff clerk, became an activist in the trade union movement, a communist, and eventually an organiser of a coup d’état. It also considers why Heidemann was the only one at the subsequent major trial of communists in 1925 to be sentenced to death. 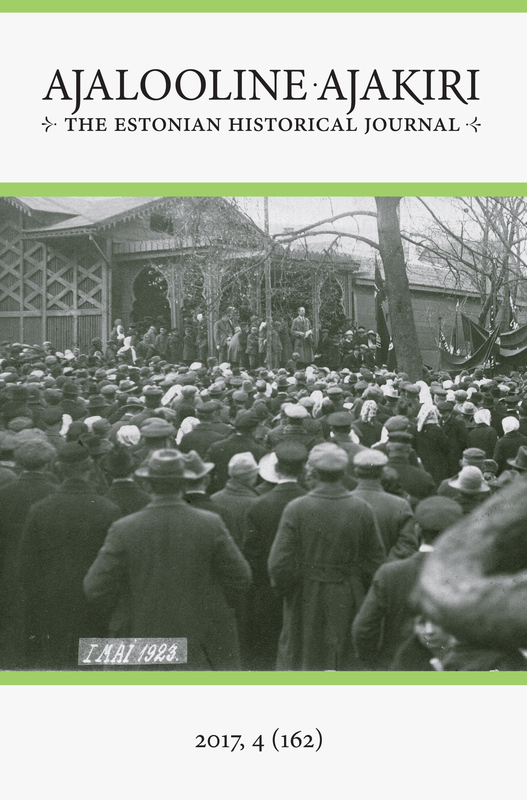 An important context for Heidemann’s rise in politics is the struggle for control in the trade unions that took place in the early 1920s among Estonia’s left-wing parties. While the communists dominated the trade unions of industrial workers in the cities, they had to compete with social democrats and independent socialists for control in unions of rural workers. Southern Estonia and the City of Tartu formed a more problematic operating region than the average district, as in 1920–21 the Security Police had liquidated many large communist networks there. Heidemann was a member of the Party of Independent Socialists but when in 1922 the party was taken over by its communist-oriented left wing, he started gravitating towards the underground communists. At that time, the communists needed able organisers in order to regain their positions in Southern Estonia and it seems that they pinned their hopes on Heidemann. In 1922 Heidemann rose to leading positions in the trade union organisations of both Tartu County and the City of Tartu, and also became one of the leaders of the left wing of the Party of Independent Socialists. It is not clear, however, whether Heidemann had officially joined the Estonian Communist Party, or functioned as its legal operative. In January of 1924, when the Security Police arrested many trade union leaders and political activists associated with the communists, Heidemann went underground. Over the next eight months, he attempted to obtain weapons for overthrowing the government and to form combat squads mainly on the basis of youth organisations. He was unable to participate in the attempted communist coup d’état on 1 December since he had been arrested two months earlier in Tartu. But his trial was held under changed conditions after the failed coup. By that time, the Protection of the System of Government Act had been passed and the communists had been expelled from parliament. Even though Heidemann had been charged with working as a leader of the local organisation of the underground Communist Party and forming combat squads for the planned coup, he was sentenced to death and executed on the grounds of the charge for which there was least evidence. According to this charge, he had allegedly gathered military information for the Soviet Union as a soldier in the War of Independence six years earlier. Different sources suggest that this charge was questionable and unconvincing. It seems that there was a wish to convict Heidemann as the head of the regional communist organisation no matter what, and to punish him as harshly as the actual participants in the failed coup were punished, which the other counts of indictment did not allow.